The size of the screen listed by height and width. A storage medium that is compatible with your portable device, in a form that can easily be removed or accessed by a PC such as a type of memory card that is compatible with your camera. A megapixel is one million pixels. It is commonly used to describe the resolution of digital cameras. For example, a 7.2 megapixel camera is capable of capturing roughly 7,200,000 pixels. The higher the megapixel number, the more detail the camera can capture. Therefore, the megapixel count is a significant specification to look for when buying a digital camera. The measurement in height x width of a captured video file. Common sizes are VGA, 720p, and 1080p. 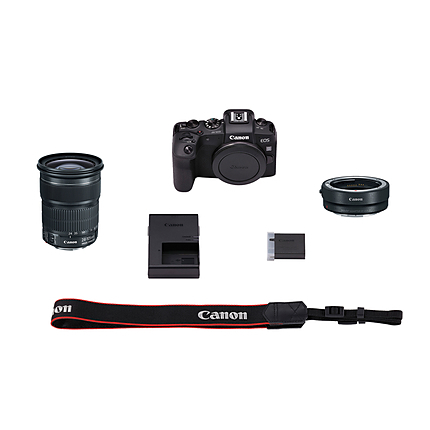 The Canon EOS RP Digital Camera is the most Compact & Lightest Full-Frame EOS Camera. This Camera includes a 26.2 Mexapixel CMOS Sensor, Dual Pixel CMOS AF for fast & accurate Auto Focus, 4k Video, as well as Excellent Low-Light Performance Capabilities due to its powerful DIGIC 8 Image Processor. There is a broad range of possibilities, due to the Camera's compatibility with RF & EF/EF-S Lenses. The Creative Assist & Feature Assistant Functions are included with the EOS RP. There are a number of Scene Modes, which allow for you be imaginative with impressive results. The Mode Dial allows you to conveniently, and quickly, adjust settings. The Compact Size and Vari-Angle LCD Viewfinder make for Easy Operation. The Canon EOS RP is designed to help you capture your surroundings with Control, Quality, and Ease. This Camera comes with an EF 24-105mm Lens that offers Aperture of f/3.5-5.6. This EF-Mount Lens is Full-Frame Format, with 2 Aspherical Elements, and one UD Element. 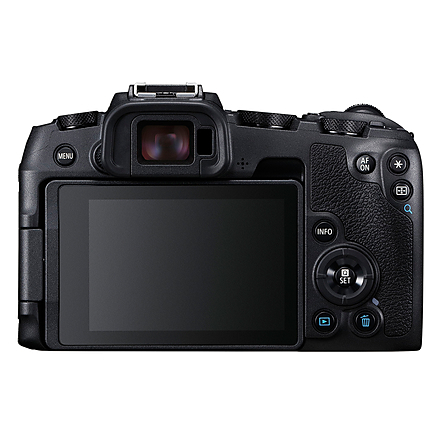 The Dual Pixel CMOS Auto Focus is designed to obtain Accuracy & Speed. The Electronic Viewfinder contains 2.36 Million Dots, & has a Touch & Drag Auto Focus feature. The Wide-Angle to Telephoto Zoom Lens is Compatible with the Full-Frame Digital Sensor, allowing for .3x Magnification. The 26.2 Megapixel Full-Frame CMOS Sensor allows for High-Quality Images. The Canon EOS RP's Electronic Viewfinder has an LCD Screen, & has Touch & Drag Auto Focus capabilities. The 4k Video & 26.2 Megapixel Sensor allow for High-Quality Images & Videos. 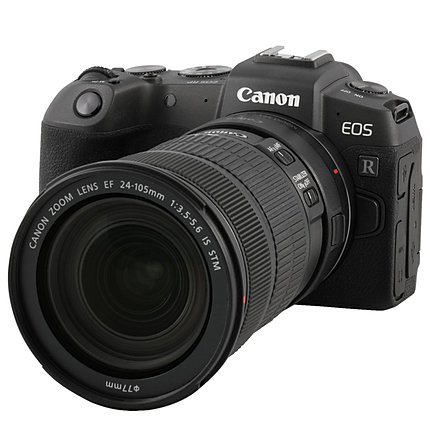 Built-In Bluetooth & Wi-Fi Technology is included with the EOS RP. 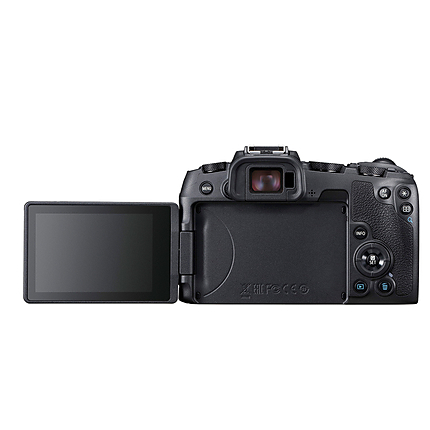 The Camera is USB Charge Compatible, and has a Built-In Electronic Viewfinder with Touch & Drag Auto Focus included. With a Focal Length of 14-105mm, this EF Lens has a Maximum Aperture of f/3.5-5.6 & a Minimum of f/22-32. 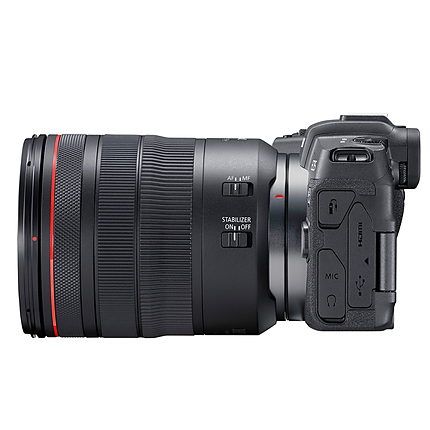 It is compatible with 35mm film cameras as well as Full-Frame Digital Sensor Cameras. With a DIGIC 8 Image Processor, this Lens is great for High-Quality Images. Describes the makeup, build, and technology of the sensor that is in the camera. The brand or type of LCD (Liquid Crystal Display) screen. These are usually found on the back of a camera. The type of focusing system used to capture a sharp image. Some simple cameras have fixed (infinity) focus. Most modern cameras have autofocus systems which determine the distance to the subject automatically. There are two main types of autofocus: active autofocus, where an infrared light (or a sonar pulse) is emitted by the camera and reflected by the subject, and passive autofocus, where the image transmitted by the lens is analysed for its sharpness by a detector inside the camera. This is a type of port used to connect a camera to a computer via a USB cable. The measurements of an object. The physical weight of the item without packaging. The color of the item. The type of camera. Examples: SLR, point and shoot, mirrorless. The type of lens mount.